We are located at 4510 Blackcomb Way, ski in and ski out, our 3 bedroom + small sleeping loft, 2 bathroom property has Whistler Village and the Gondola across the street and a wonderful large entrance way with 2 benches, mitt and hat storage baskets, hooks for coats, ski and snowboard storage, “boot and glove warmer” and heater also in our front entrance way, fully equipped kitchen with food storage pantry, dining table with chairs for up to 8 persons (additional chairs stored in bedrooms), eating bar with 3 stools, wood burning fireplace in the living room, stereo system, 2 flatscreen TV’s and DVD player, X-Box with games, washer and dryer in unit, free parking, jetted tub, balcony with new Charbroil B.B.Q. Bed configuration is queen in the master bedroom, queen size bed in the 2nd bedroom, queen bed in the 3rd bedroom, queen hideabed in the living room & single bed in the small loft off the 3rd bedroom. There are two full bathrooms, one with a jacuzzi jetted tub to soothe those achy muscles and relax after a hard day of skiing, walking, biking or hiking. 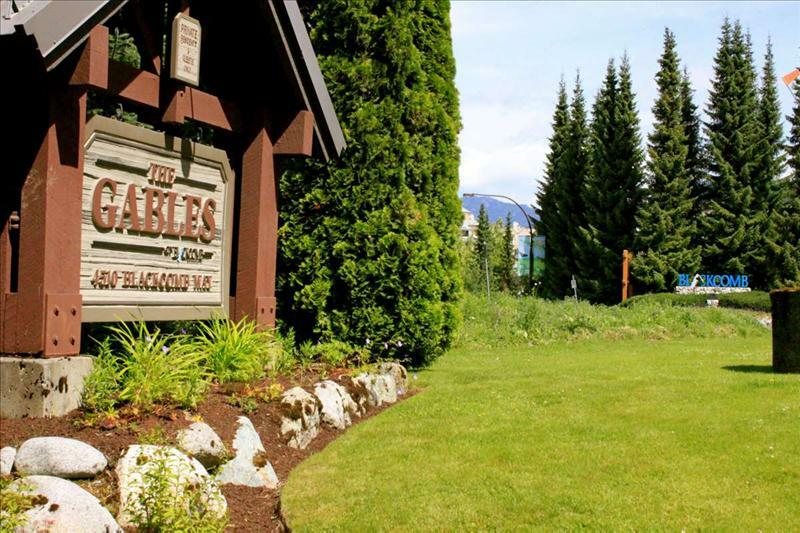 Give us a call at 1.604.932.7674 to reserve this wonderful townhome. We also have gorgeous grounds all around our townhome.